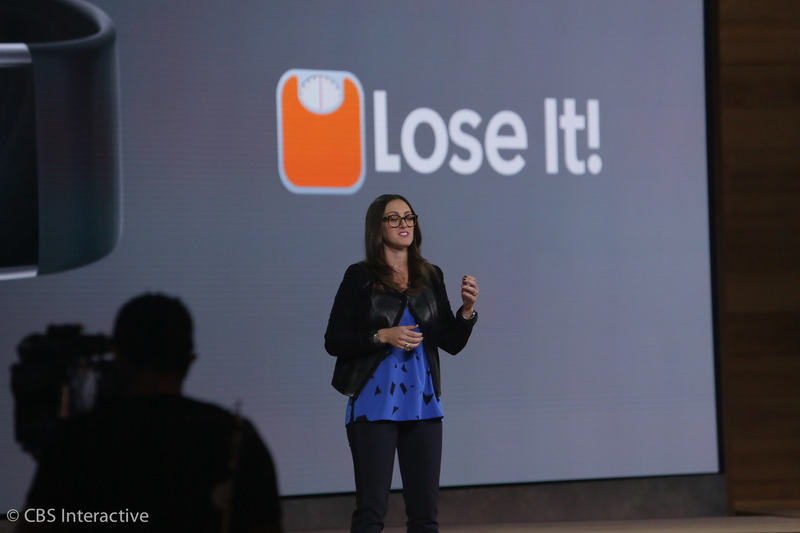 Microsoft Band works with iOS, Android and Windows, she says. Lots of these software updates have already been happening over last few months on Band. 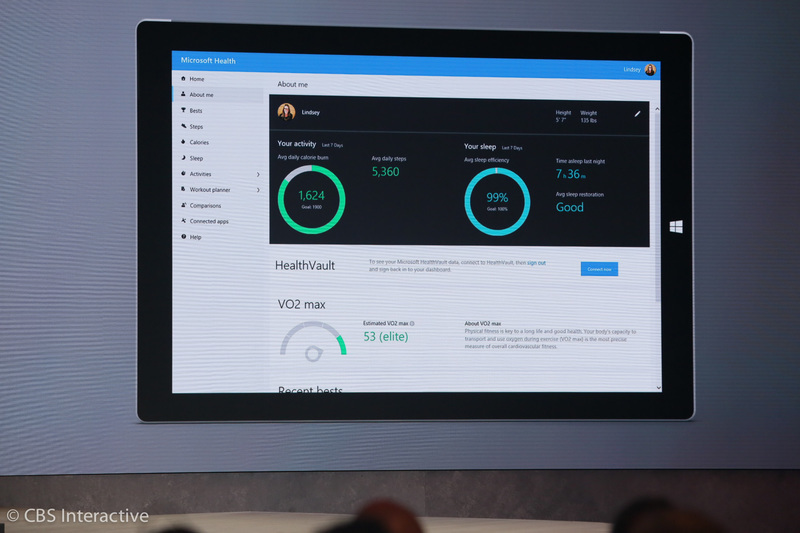 Microsoft has been aggressively updating Band and Microsoft Health over the last year. "Lose It" integration (just got one yelp). 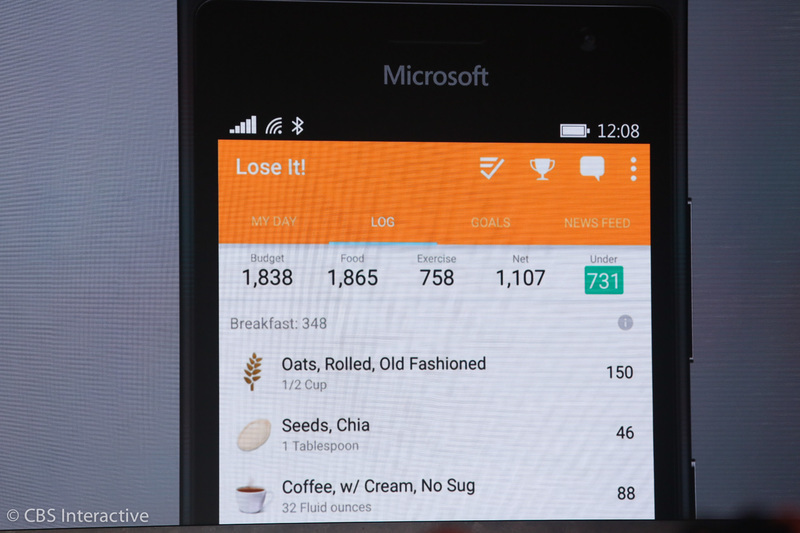 Microsoft has partnered with nutrition tracker Lose It, highlighted in the presentation. 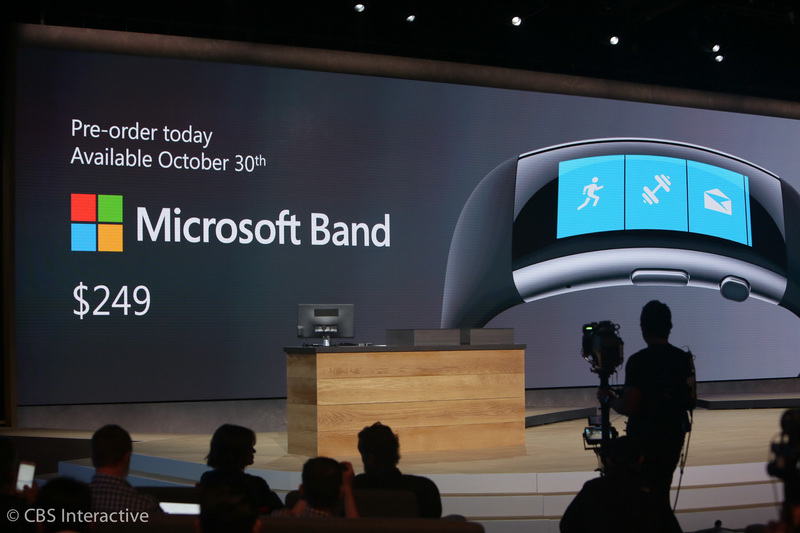 The Microsoft Band is $249 on Oct 30. It's $249, available Oct 30. You can preorder today, and it starts selling on Oct 30. 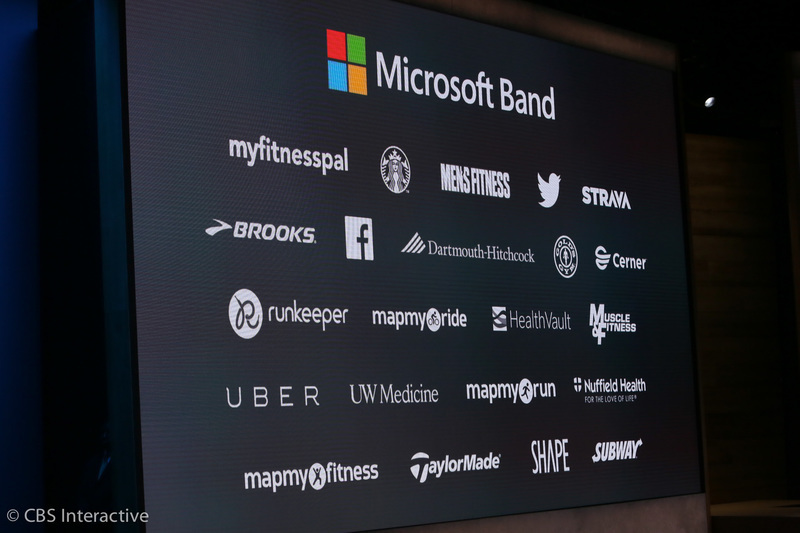 Ok, that's the Microsoft Band. New Microsoft Band is more expensive: $249. Available Oct. 30. "More productive" -- sounds like Surface! It's time to talk about Surface and Lumia. No word on new Band's battery life, though. 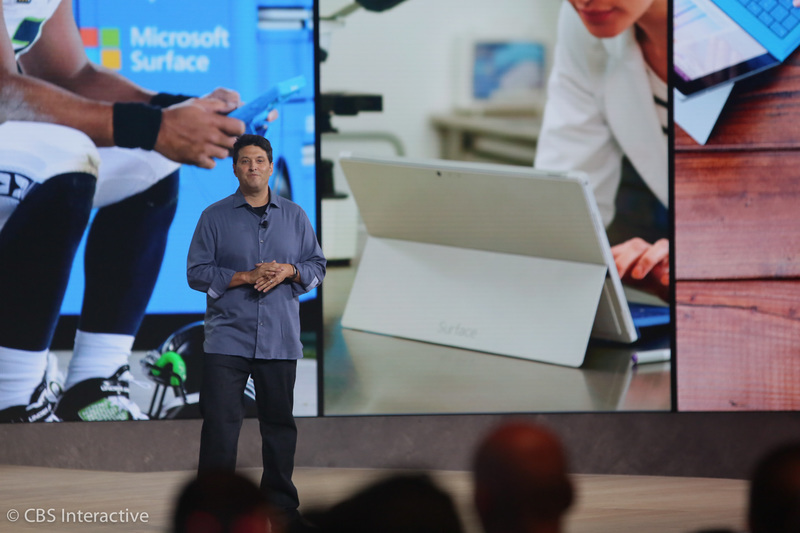 Surface is the iconic Microsoft device for people who want to be productive, he says. It's grown from zero to $3.5 billion business in just three years, Myerson says. The entire Windows ecosystem has embraced this category of two-in-ones. 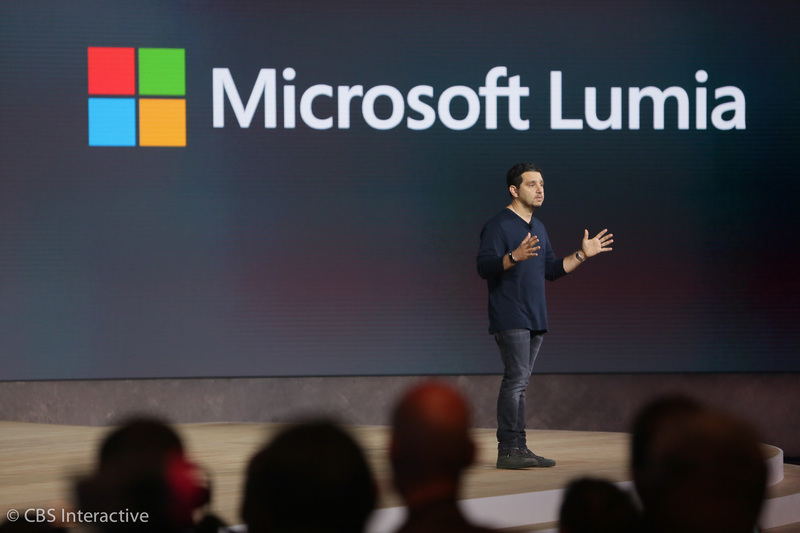 Myerson sees an opportunity with Lumia like it did with Surface. The company wants to reinvent the category, he says. The first two gens of Surface Pro were ok, but clunky. It's last year's Surface Pro 3 that really nailed it. In the last year, more than 1,000 businesses have chosen Lumia for work. Panos Panay gets on stage. It remains the best overall Windows hybrid -- at least of the ones that are primarily a tablet, with part-time laptop chops. Panay leads the development of all of Windows premium devices. 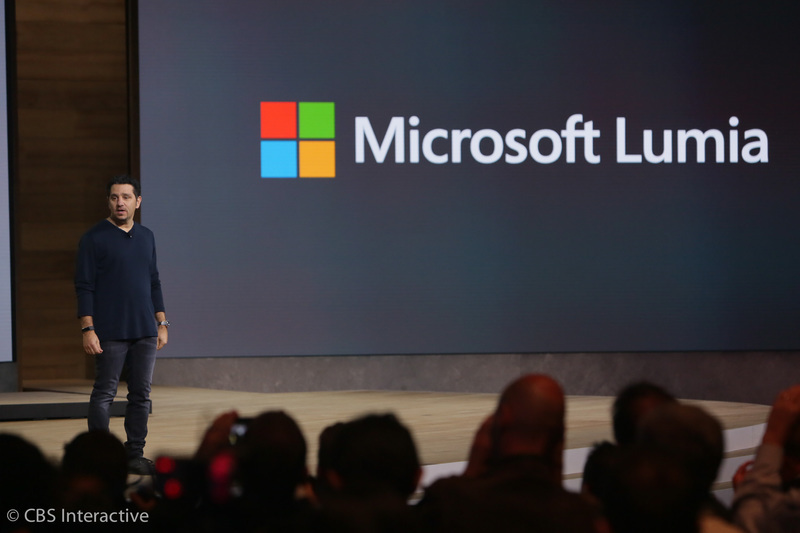 He's going to talk about Lumia smartphones. The desire to bring the most productive products possible is unmatched, he says. There are 110 million devices running Windows 10 -- but I doubt many of them are phones. 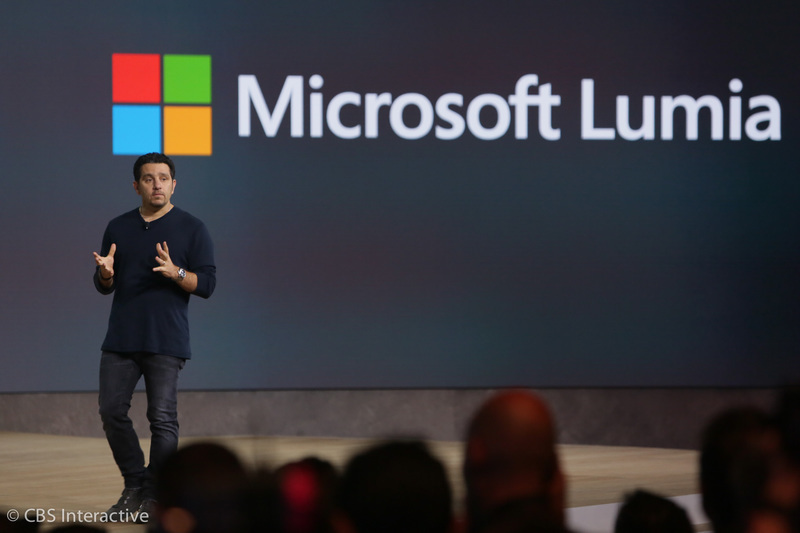 Panay talks about the opportunity to bring Windows 10 to the smartphone in your pocket. 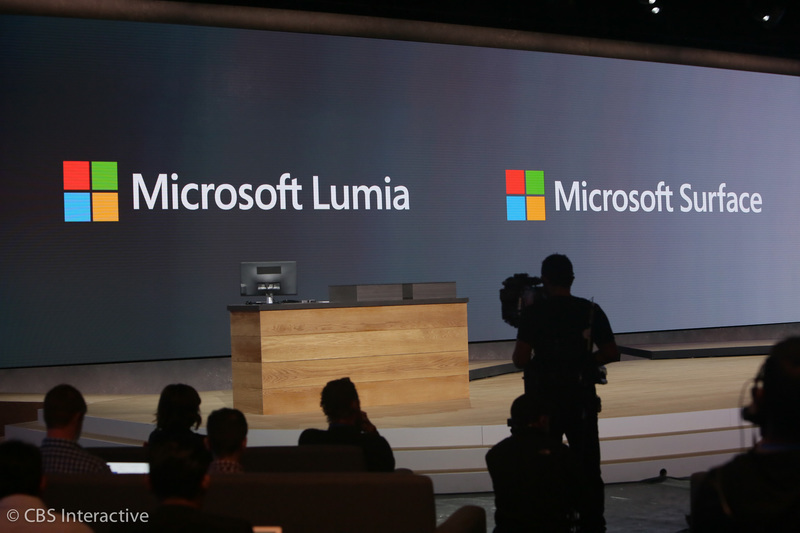 Say hello to the Lumia 950 and 950 XL. There are two antennas in these phones, he says. 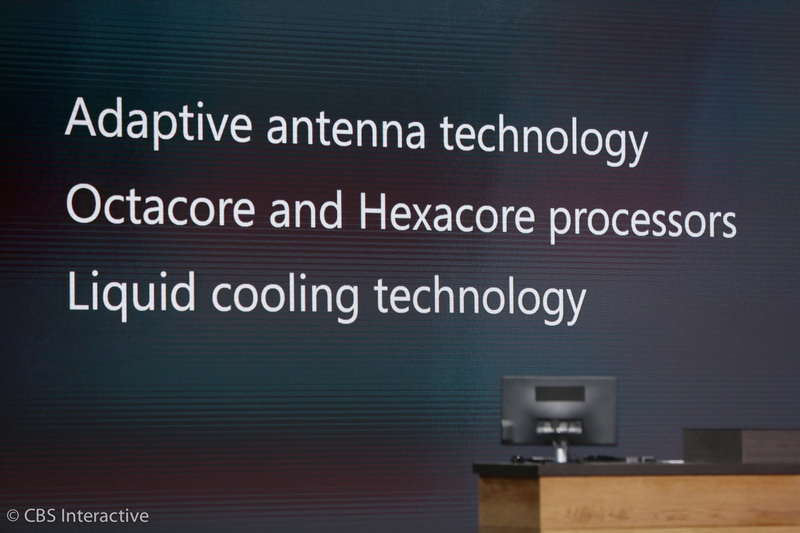 When you hold your phone, Microsoft will choose which antenna to use to stay connected.